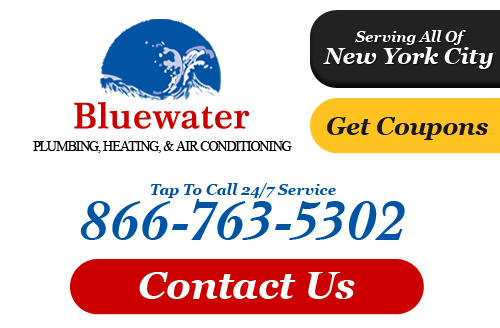 For superior plumbing service, trust the East New York plumbers at Bluewater Plumbing, Heating, and Air Conditioning. 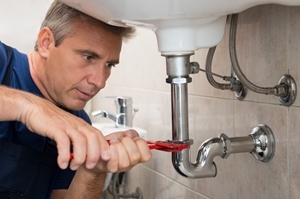 We have help both home and business owners with all types of plumbing issues. We built a solid reputation as a leading plumber in East New York over the years, and we take pride in the superior quality workmanship our team offers on each project. Our certified technicians can help you with any plumbing problem ranging from all plumbing repairs and drain cleaning to water heater installation and repair, leak sealing, re-piping services, and even kitchen and bathroom remodeling. Tired of your old bathroom or kitchen? We can help you transform either into the brand new room you've always wanted. Whether you like a more traditional conventional kitchen for that older classic home, or if you want a cutting edge, modern look with all contemporary features, let the experienced plumber team at Bluewater Plumbing, Heating, and Air Conditioning take you through every step from start to finish. We carry a full line kitchen and bathroom products and can help you pick the right one to suit your personal taste. Our team of certified technicians provides dependable plumbing repair, installation, maintenance, and kitchen and bathroom remodeling in East New York. We only hire skilled, highly-trained, plumbers in East New York who can perform every job right the first time. Our goal is to provide you with top quality products from reputable manufacturers, and exceptional customer service. We work closely with our clients through every phase of the process so that there's no guesswork and no surprises. Our service is affordable and our estimates are honest and fair. based on these 6 happy customer reviews. If you are looking for a professional East New York plumber or heating contractor then please call 866-763-5302 or complete our online request form.